JFD Communications is proud to announce that Larry Jordan & Associates chose our company to do captioning for their Final Cut Pro X training. We are happy they decided to include Closed Captions on this new title and are proud to have been involved. 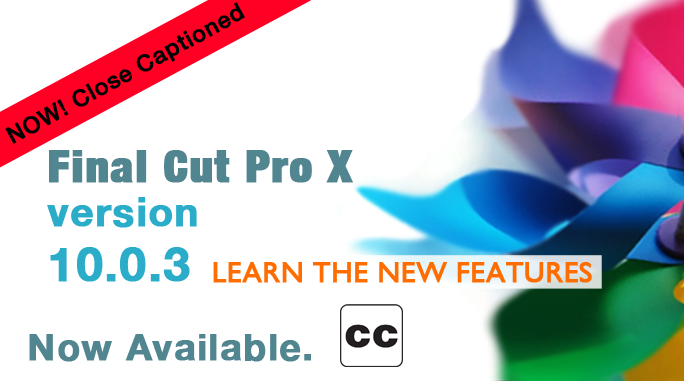 This series of video training movies provides step-by-step instructions in how to master the new features in the 10.0.3 update to Final Cut Pro X. And, for the first time ever in one of our technical training titles, we are including closed captions. (Click here to learn how to display closed captions in a QuickTime movie.) Thanks to JFD Communications for their help in providing the closed captioning.